The pretty village of Port Grimaud is situated 6km to the west of St Tropez in the Provence-Alpes-Côte d'Azur region in southeastern France. Not to be confused with the medieval village of Grimaud nearby, Port Grimaud is known as ‘Little Venice’ due to its beautiful waterside setting and canal highways that criss-cross the town. 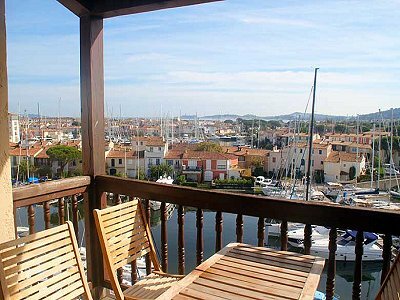 Port Grimaud property can be found throughout the four main islands that make up the town, which are, like Venice, connected by a series of beautiful bridges spanning the glittering waters. The extensive network of canals and rivers are lined with characterful Port Grimaud property, shops and restaurants. While Port Grimaud property, in its pretty hues of cream, pink and terracotta, may appear to be part of an ancient, sleepy fishing village, the whole resort is, in fact, a carefully planned community, and the brainchild of one architect, Francois Sperry. Modelled on Venice, but capturing the essence of traditional Provencal architecture, Port Grimaud is a popular destination among tourists and locals alike, with a captivating beauty and charm. Beneath the veneer of traditionalism and aged beauty, Port Grimaud could only have been planned by an architect, with the facilities of the town easily accessible from any Port Grimaud property either on foot or by boat. Cars are largely obsolete within the town boundaries, allowing for a peaceful and relaxing atmosphere. In addition, Sperry designed the village around the fundamental principle that every Port Grimaud property should have private moorings for a boat on the canals. 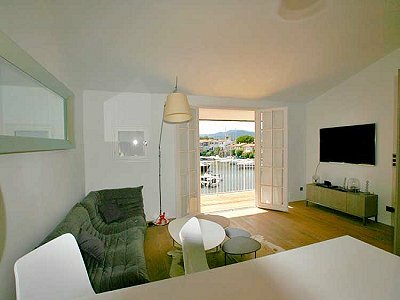 Today, Port Grimaud property is as popular with boating enthusiasts as it was when the development was first conceived. Sperry designed a community that was picturesque in both natural beauty and architecture, and this vision has been carefully retained until the present day. 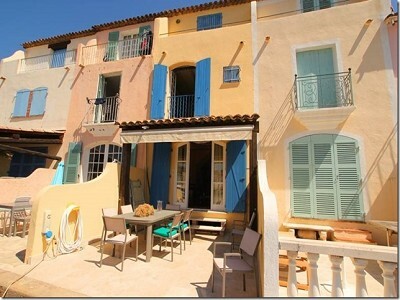 Each Port Grimaud property is designed to be unique and with its own character and, as such, painted a subtly different colour of a palette of muted shades of pink and orange to its neighbours. Such care is taken of the original vision, this is strictly maintained, leading to a spectacularly beautiful town where each Port Grimaud property is unique and yet uniform with traditional ridged terracotta roofing tiles, and frontages decorated with traditional shutters and wrought iron. There is a wide choice of Port Grimaud property available, with around 2,000 dwellings spanning 3 developments, from the first and original begun in the 60’s, to the most recent completed in the 90’s. 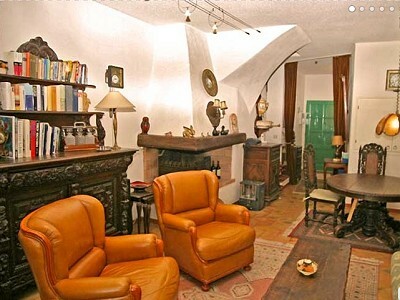 Without exception, Port Grimaud property is well maintained and highly desirable. 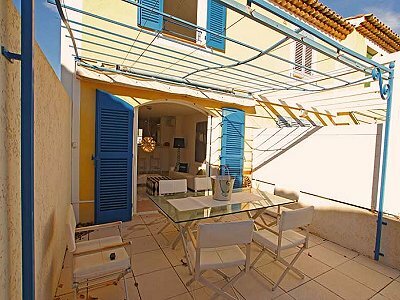 With property owners such as Joan Collins, Port Grimaud property is highly sought after and has an excellent letting potential. Sperry, who died in 1999, now lies in the church in which he designed, at the heart of the town he built. Arguably the best vantage point from which to view his great work is from the church tower, which provides fantastic panoramic views across the whole town with its glittering canals, and out to the hills rising in the distance and the vast open vista of the Mediterranean. This view is captured in the stained glass of the church, which depicts the passage of the sun across the sea. The market at Port Grimaud is held three times a week and sells a range of fresh produce and essentials, drawing a great many people to the bustling heart of the town. After a busy day in the market, there are few better ways to relax in Port Grimaud than a waterside café or restaurant, offering the beautiful canal-side views that are so reminiscent of Venice. As Port Grimaud is located next to the Gulfe de St Tropez, and much of the Port Grimaud property is found next to one of the development’s many canals, water and water pursuits are very important to the area. As well as the spectacular beaches nearby that offer a wealth of watersports, Port Grimaud property offers a truly unique location from which to enjoy boating, yachting, or simply dining on the canalside, watching the reflections of the lights on the still waters.